When we are directly expressing ourselves in life without any overcomplicated motions, it is an easier, more pleasant way to move through life. If you know yourself, then everything you do is entirely of yourself. Living this way is harder than Bruce Lee makes it sound. Most of us are so paralyzed by what others might think of us, that we spend most of our energy scanning others to see what they think of us. This puts us into an anxious agitated state of worry about what other people think of ourselves. Often we want to be thought well of, so we overcomplicate to try and please others. When we learn something new, we learn all of the steps and practice them until we are proficient. Sometimes we realize that the steps could be simplified, but we continue to do them all because that is what we learned, that it is how it is supposed to be done. However, once the steps feel familiar, you can simplify and use what works best for you. Aim to cultivate the high level station of Nothing Special. You want to be able to move through the world with self-possession and natural ease, feeling confident in your own skin, knowing what you like and don’t like, being open to new experiences, and being in Flow. When someone does something and makes it look easy, it draws people to them. It is only after many years of training that someone can make it look easy. There is a magical universe in ordinary things if we look and observe closely. It was a revolutionary concept for Bruce to state that there are only so many ways to come in on an opponent. Despite all the fancy moves, at the core of it you still have to strike your opponent in the fight. This idea did not fit in with some martial arts because the resulting strike might be outside of that martial arts style. Bruce found that a simple solution would work, but the martial arts style would dictate that you had to complete these series of movements first. Bruce’s simple solutions were very revolutionary at the time. There is a cultural expectation that fancier is better. Bigger houses, more features, more external validation. That the more you acquire the better off you are. There is a lot of maintenance in that kind of life. It is good to express yourself and your style, but what does so much ornamentation do for your journey to self-actualization? Ornamentation creates more for you to guard and isolates you from others. 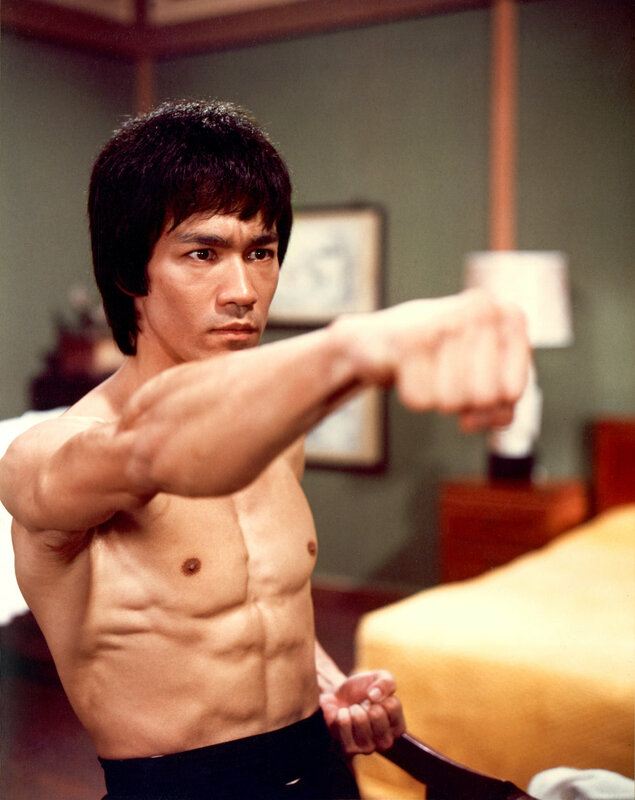 It may seem that due to Bruce Lee’s incredible skill at martial arts that he studied martial arts to the exclusion of everything else. This was not the case. He did focus on martial arts a lot, but he utilized his martial arts as a window into being a human being and how to live his life most effectively. Take the great skill that you have and use it as a window into a more expansive world. Ask yourself what works for you. Try something and conduct your own research experiment. Try to put aside any outside pressure to do something a particular way. Trust your own energy and the relationship of self-knowledge. The methods, the practices, and the belief systems, all were created by humans. What are the methods that speak to you as an individual? When something is not feeling easy, it can be an indication that you are focused too much on external influences. You might be trying too hard to follow the practices or methods that others have created. The techniques are something that you can do, but the truth lies within you. When you are expressing instead of doing, you are expressing your soul. Pay homage to the ordinary day. The ordinary is extraordinary. You’ve done enough, it’s ok, just be yourself.